We are so grateful for the community support received at our 8th Annual Gala! The event was a huge success thanks to our wonderful donors and supporters! Check out the amazing video of our event! DANCE PARTY SPONSOR - HORNE/WAELBROECK FAMILY! PHOTO BOOTH SPONSOR - SONRISAS ORTHODONTICS & PERIODONTICS! LIVE AUCTION SPONSOR - PENDAS INTERNATIONAL, PLLC! PROGRAM SPONSOR - CASA MARIANELLA! PHOTOGRAPHY SPONSOR - HERNANDEZ/CRUZ FAMILY! Each year, our Gala is Austin International School’s biggest fundraising event of the year and is not to be missed! Our community comes together to celebrate the unique international environment and support the advancement efforts of the school. The event includes dinner, dancing, and a silent and live auction full of wonderful packages and experiences. Fundraising from the Gala supports teacher tuition discounts, expands educational programming, and allows for school improvements and enhancements. All AIS families are encouraged to attend, and outside guests are welcome! The gala provides a glimpse into the school community and culture and is a great event for grandparents and prospective AIS families to attend as well. AIS families, teachers, and staff are in attendance and would love to meet anyone considering joining our school. So come as a couple, a group, or on your own. There are plenty of community members to celebrate with. 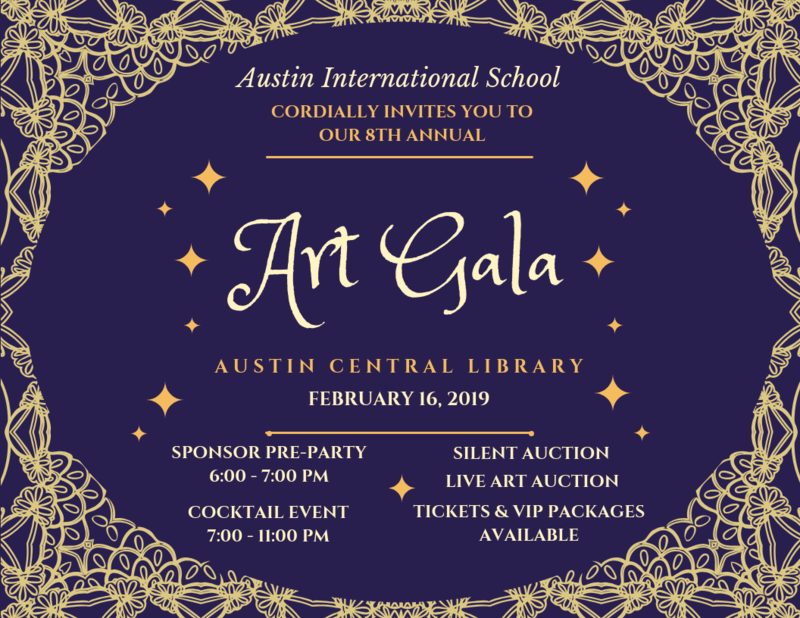 Mark your calendar for the 8th Annual AIS Art Gala which will be held at The Austin Central Library in downtown Austin on Saturday, February 16, 2019 from 7 - 11pm. We will also be hosting a pre-gala event for sponsors and underwriters from 6 - 7pm. Check out our ticket and sponsorship packages detailed below for more information. Gala attire is Austin chic! Dress fancy or dress comfortable....just come dressed! Promotional material inclusion in event gift bags to guests at check-out. Dance Party Sponsor - Thank you Horne/Waelbroeck Family! Photo Booth Sponsor - Thank you Sonrisas Orthodontics & Periodontics! 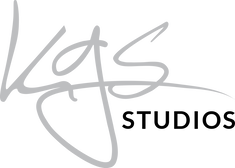 Live Auction Sponsor - Thank you Pendas International, PLLC! Program Sponsor - Thank you Casa Marianella! Photography Sponsor - Thank you Hernandez/Cruz Family! There are a variety of ways to sponsor our Annual Gala through In-Kind gifts supporting our silent auction. All items are tax-deductible as allowed by law. 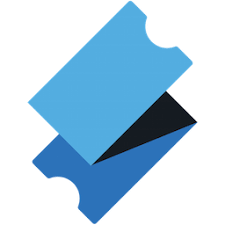 We will include your name on all event marketing, web, and print materials. We will display your presentation cards next to your products at the gala. We will include your name on all event marketing, web, and print materials. Benefits of the Host level plus logo placement on the school website and inclusion in the event program. Benefits of the Partner level plus four tickets to the gala and distribution of promotional items to guests at check-out. Benefits of the Patron level, plus an advertisement in our event brochure and signage at The Austin Central Library. We have volunteer opportunities selling gala tickets or helping prep for the event. Check out our Gala volunteer sign-up here. We would love to have your participation on the committee, in securing donations, or volunteering your time. Please contact the committee or April O'Quinn for more information.